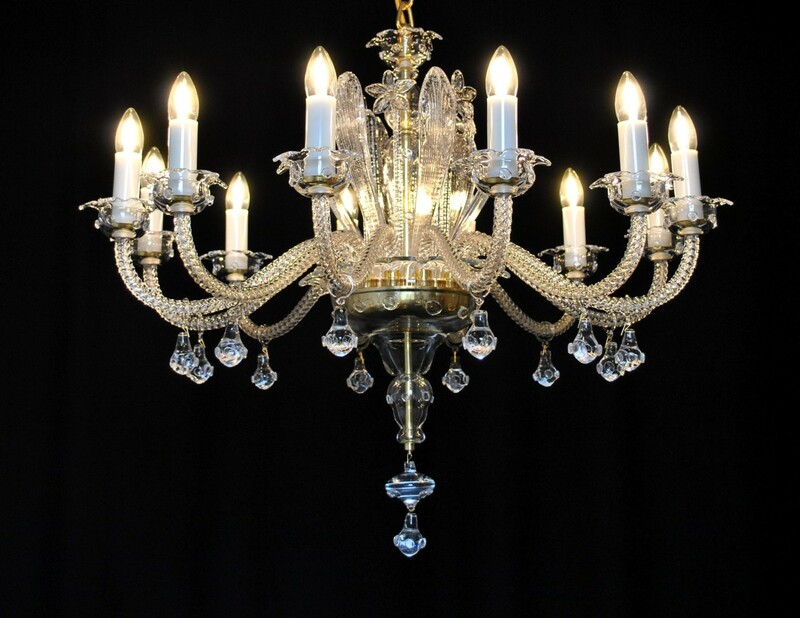 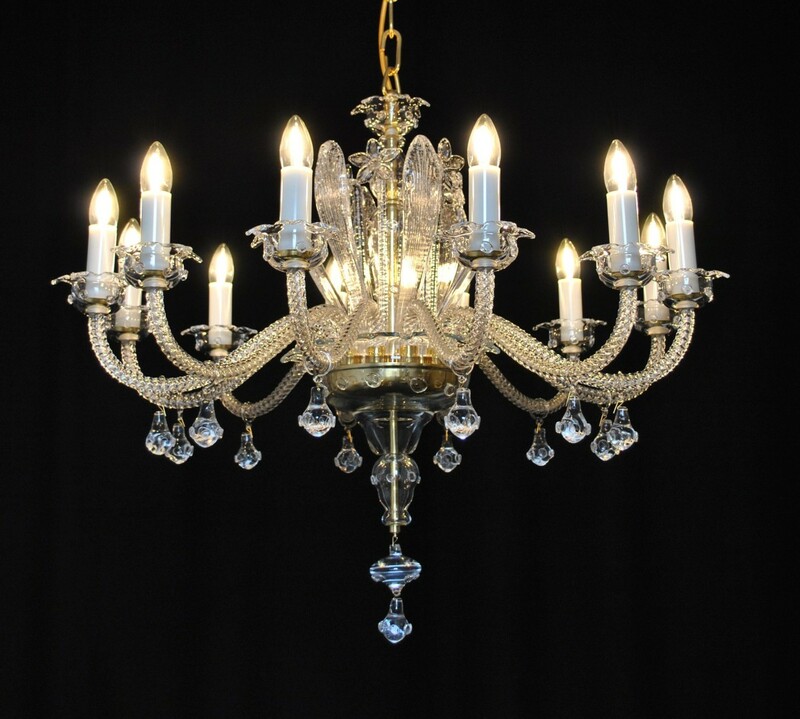 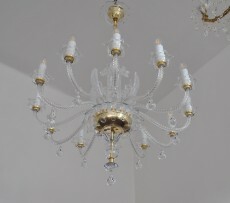 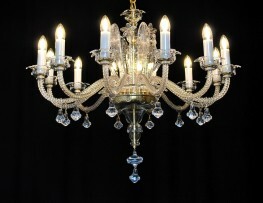 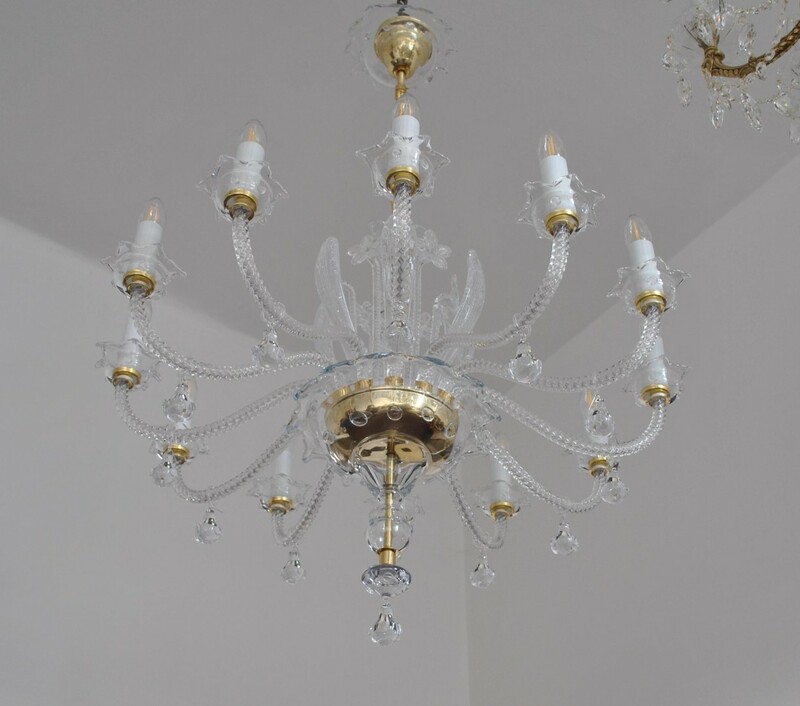 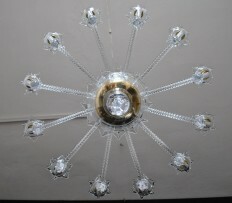 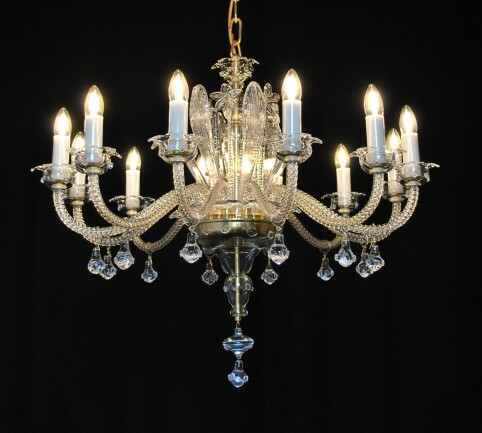 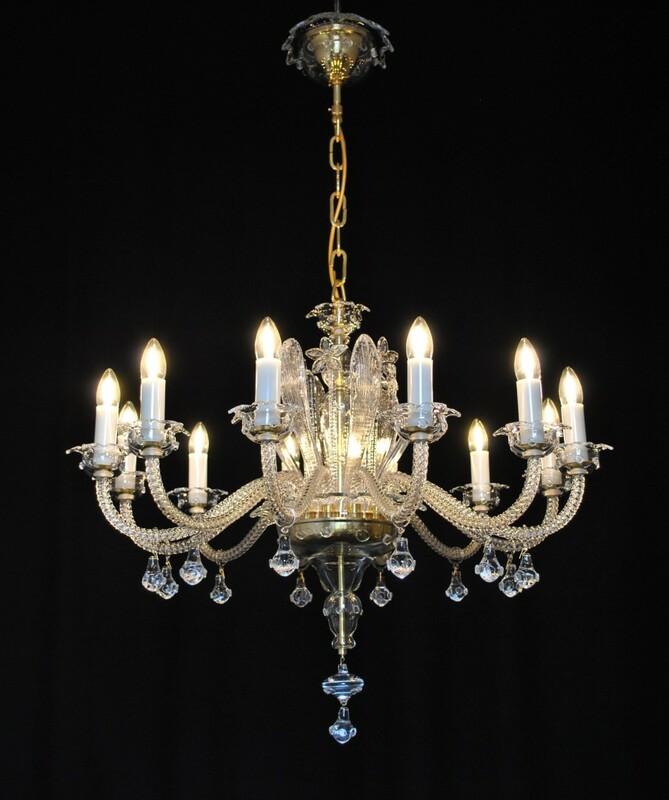 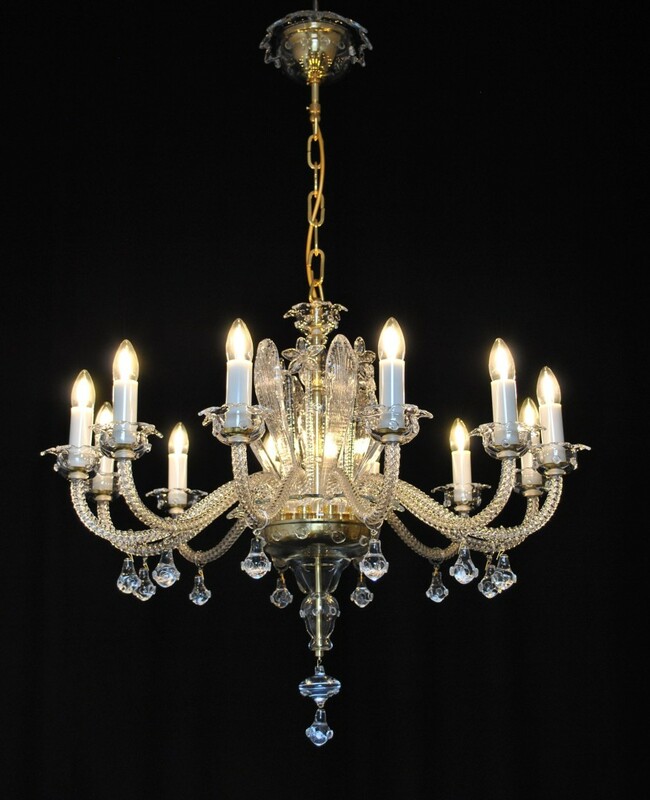 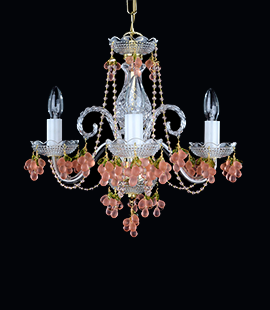 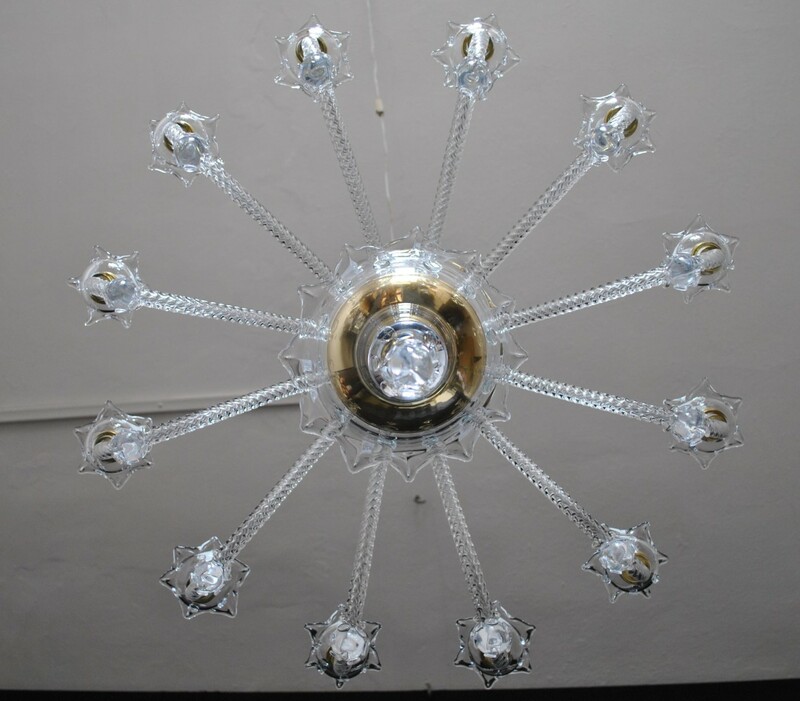 The design glass chandelier made of hand blown clear crystal glass. 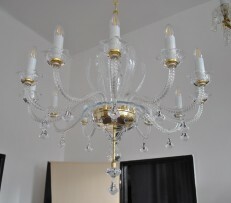 12 hand made glass arms. 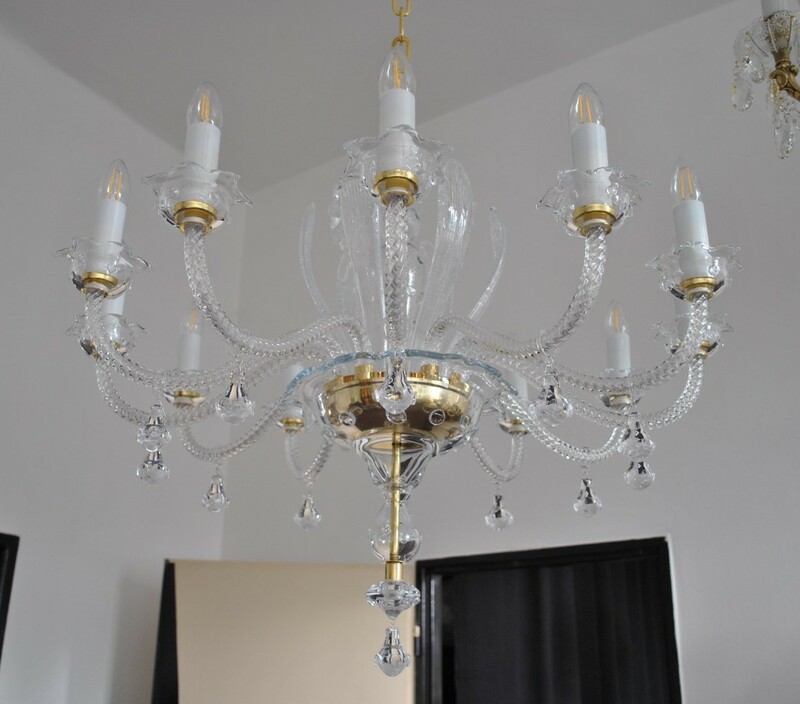 Gold polished brass. 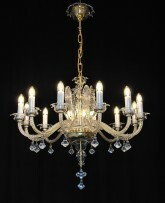 Completely hand blown glass including twisted glass arms. 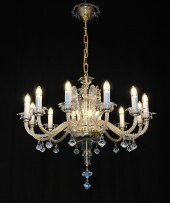 Size (W x H) 80 x 65 cm (measured without the chain). 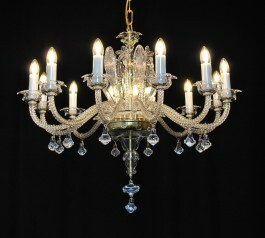 12 glass arms, 12 candle bulbs E-14, 40 Watts.